I started to create art for the first time in 1989 while in my early 40’s. Watercolor was my first medium. I took classes and workshops and painted when I could, though infrequently. In 2002, I discovered pastel and it was “love at first stroke”. I again took workshops and classes but my painting time was very limited because of my job. Retirement in 2009 brought the opportunity I had long dreamed of, being able to devote full time to art. 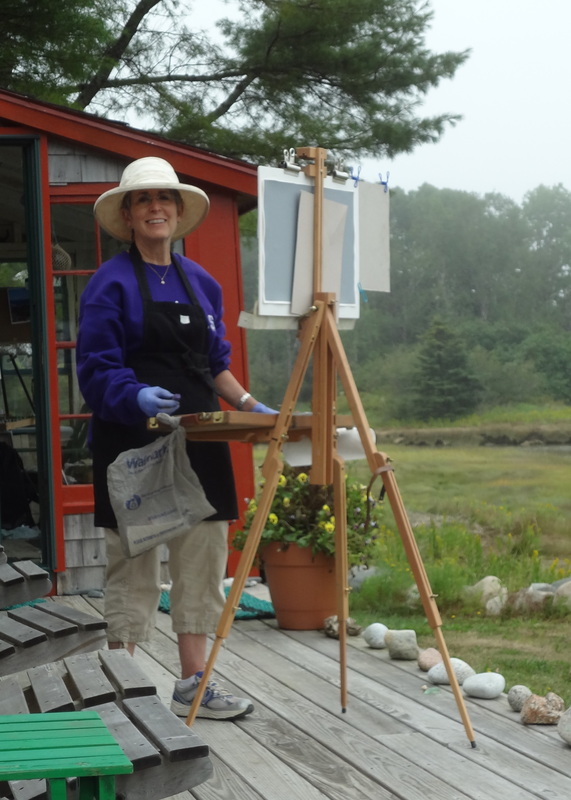 In 2014 I graduated from the New Hampshire Institute of Art with a Certificate in Painting. I have also had the opportunity to take workshops from Susan Ogilvie, Jack Pardue and Terry Ludwig among others and studied formally with Adeline Goldminc-Tronzo, Deidre Riley and other faculty at the NHIA. My work primarily focuses on the New England landscape, though I love to work on Still Lifes from time to time. I work mostly in pastel but also do some work in oil and charcoal. New England has been my adopted home for more than 40 years. In my work I show its peaceful, natural landscape to share my love of it. All seasons, but especially spring and fall, provide me the opportunity to use the lush colours of the pastel medium to convey its beauty. From the mountains to the coast, on the farms and in fields, these elements of the landscape and the unique and lovely way light hits the land here have always been an inspiration. I do work plein air whenever I can and enjoy it tremendously. Other times I do sketches in the field supplemented with reference photos and then work in the studio. Pastels are layered on either sanded paper or prepared sanded boards starting with hard pastels and then soft.